Charles and Stewart took our pretty, but average, home and elevated it to extraordinary. They found creative ways to enhance existing spaces and also design new ones filled with classic lines and charming details. Their organizational and communication skills are excellent. My husband and I never worried about anything when they were in charge of our projects. From our first meeting with them, we understood that they were going to take care of the hundreds of details it takes to build a home, from the architectural drawings through interior design, and present it to us in an organized way that was easily understood. What could have been overwhelming was actually fun. Most importantly, we have a home that is exactly what we always dreamed of, and it is thanks to them. I believe their project photos speak for themselves. Just beautiful. We have been providing M/E/P design for projects with Haver & Skolnick for more than a decade. We’re always thrilled for the opportunity to collaborate with them not only because they do beautiful work but because they are also excellent communicators. Stewart and Charles are real team players: they are attentive to the client’s needs, anticipate what our engineers need and they are very hands on throughout the project. My firm recently worked with Charles and Stewart on a very large residential project. Their designs, project management and attention to detail were impeccable. I look forward to working with them on the next project! I own one of the houses designed by Haver & Skolnick. It is each day that I wake up to admire the work of these architects. Their design for my home is truly brilliant with interesting angles and proportions that draw your eyes to the rooflines, ceilings, windows, and paneling throughout. Each room is a pleasure to spend time in. The siting of the structures within the hilly landscape takes advantage of the slopes, again giving each room interest and also beautiful views out of each window. I love every minute in my home. Haver & Skolnick have done remarkable work that will stand the test of time for generations to come. Always a pleasure to work with Charles and Stewart. They are very professional and have a great attention to detail. They are always willing to take advice and discuss different options when it comes to window treatments. I have spent 35 years in the field of construction; 25 years of which have been in the high-end residential construction sector. I was the Project Superintendent of a large residence in Washington,CT. ; of which Charles Haver and Stewart Skolnick were the Architects. I first met Charles and Stewart at the kick off meeting at their Studio. I was most impressed how well they managed the meeting, their cordiality and their professionalism. The home they designed was very detailed and complex of structure. It was not going to be an easy home to build. They put so much effort into the drawings, the home came to fruition flawlessly. Haver and Skolnick Architects make a stupendous team. Not only did they do the architectural design: they did the landscaping design, interior design and decorating. I have never worked with an Architectural firm as professional, courteous and artistic as Haver and Skolnick Architects. Because of their dedication and talent the project came together with silicon like smoothness. On time and on budget. Great architectural team and pleasant to work with. Very professional and their architectural plan package very complete which in turn makes building the project out much easier and less costly for the Owner and Builder. Charles Haver and Stewart Skolnick are two highly professional architects who are a pleasure to work with. They are very insightful in the design of their projects and were very helpful to me as a product dealer. I highly recommend Haver and Skolnick Architects. As a team, Charles and Stewart possess a unique sensitivity to design challenges between them, and are both highly professional and personable to work with. Their versatility is remarkable, being equally comfortable within more traditional architectural styles, as with projects requiring a contemporary sensibility. 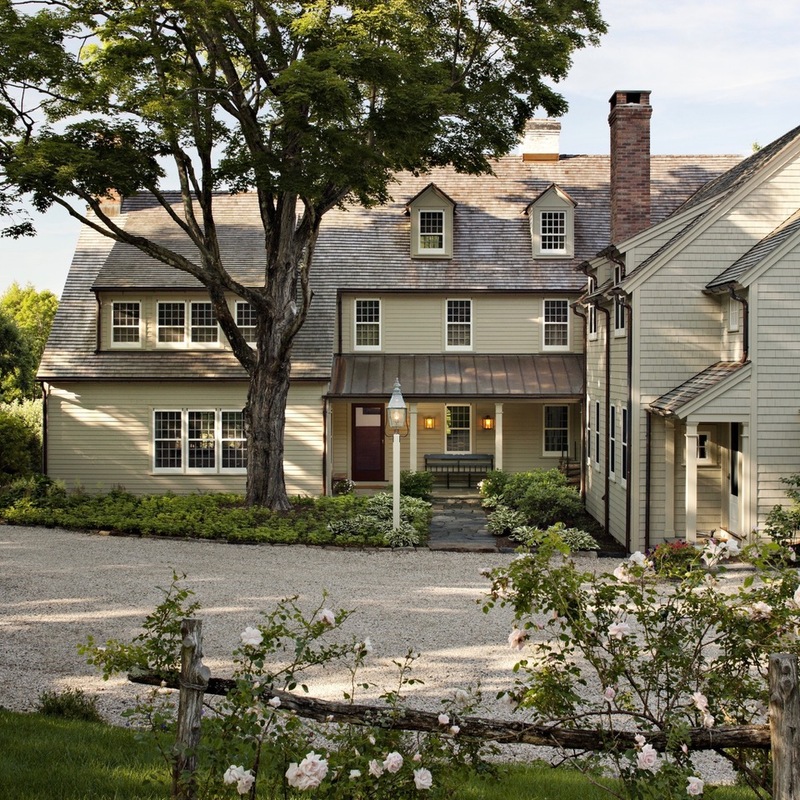 From Bauhaus to country house, their work is infused with sophistication, experience, and expertise. In our four decades as a painting professional, Haver and Skolnick Architects are at the top of our list for professionalism and organization. It was a pleasure to work with them on what was a very large and complex project. Their attention to detail is unsurpassed. Having designed and built two houses (one an English Country House, the other in the Jacobean Hunting Lodge style) ourselves, we now want to build a house in the style of an English Vicarage from the late seventeenth century. However, at this point in life we do not want to be our own contractor. We came to Haver and Skolnick with our specific conception and ideas, and they did not treat us like dilettanti or look askance at our drawings. Conversely, they perceived precisely what we envisioned. Entering our creation with verve and understanding, they guide with disciplined but artistic flare. We like their balance of art and business, elegance and grit. 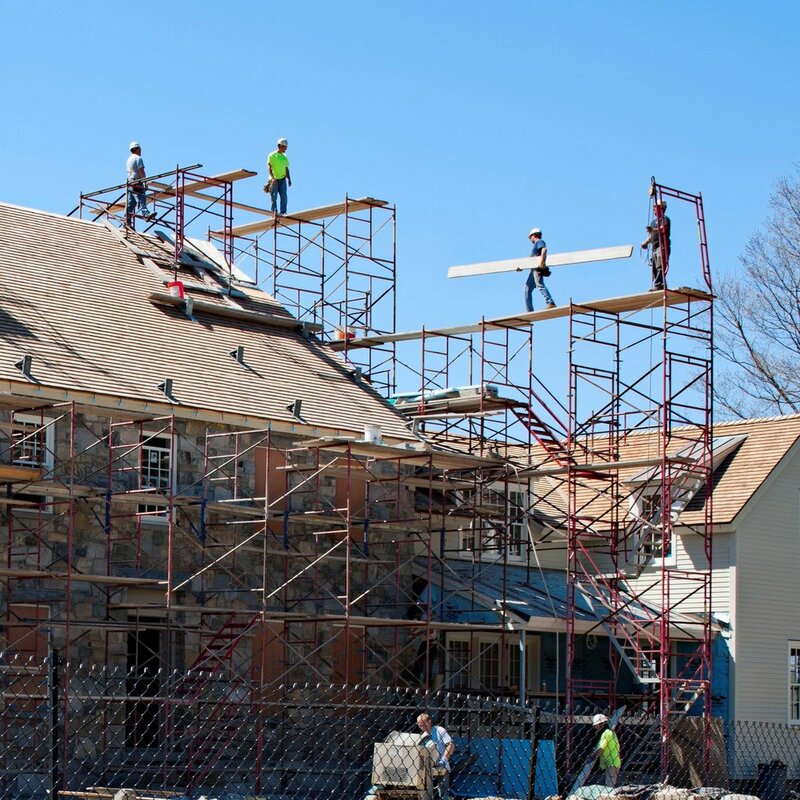 There is no doubt that they will strive for the “right note” that is so essential to creating a historical house because historic accuracy is always paramount. 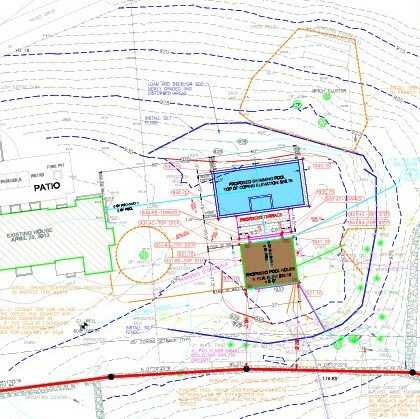 We look forward to working with them as we all transfigure this dream house into reality. It has been a pleasure to deal with the team of Charles Haver and Stewart Skolnick. Through the course of the project they have been highly responsive and very helpful. The great attention to detail they provide has made this project run very smoothly. I would consider myself quite fortunate to work on another project with them. I've had the privilege of collaborating with Haver & Skolnick Architects on an extensive Landscape / Garden project. Having worked closely with Stewart & Charles, I admire their creativity & attention to details. They have the unique ability to make a finished project appear as if it has been there for years, a very difficult task to accomplish, but one they do with ease. As a twenty-five year luxury broker in Litchfield County, I have collaborated with my friends and clients Charles Haver and Stewart Skolnick on many occasions. I am always highly impressed with their impeccable detail and professional, unique attention to every project they have undertaken. Their work is consistently and exquisitely executed every time. They are masters at their craft. Charles and Stewart offer their nonpareil and creative talent and attention to detail that perfectly coalesces with their clients’ wishes for exquisite and personal spaces that reflect both the clients’ living and aesthetic needs. In the last four years, I have had the honor to broker three of their eminent masterpieces. Their work is without compare; it is, simply, exquisite and first-rate. Each skillfully executed and professionally managed project is a thing of beauty and grace. That is the legacy of the preeminent and gifted Haver-Skolnick collaboration of ingenuity, taste, and finesse. My hat is off to them. Being a vendor in the design industry, I have yet to find more competent or professional individuals. They have a deep respect and understanding of architecture/design and are capable of creating any aesthetic to accommodate their clients. Graphic Synthesis is a reprographics company producing large document printing, and as such has provided services for Haver and Skolnick LLC Architects for approximately seventeen years. The clarity of their requirements to us as a vendor has always helped us deliver our work successfully. We are grateful for the opportunity and the pleasure of knowing and working with Charles and Stewart and seeing their projects evolve, learning about their attention to the multitude of details involved in the creation of beautiful homes and landscapes. I have worked with Charles on many projects for their customers. The professionalism, the quality of the products, materials and furnishings choosen, with their attention to details created a final home delivered to a customer that exceeded their expectations. On every project, the working relationship with Haver & Skolnick was easy and satisfying. This is a team that one enjoy's every time there is a need to work together. Haver & Skolnick Architects took our very uninspiring Roxbury home to the stratosphere! Their professionalism and experience is reflected in the beauty of our home. The pleasing lines, the beautiful textures of differing materials, and the additions of dormers turned this toad into a prince! I cannot say enough about Charles and Stewart, their professionalism is 5 stars! They are a pleasure to work with, organized, efficient and extremely talented. 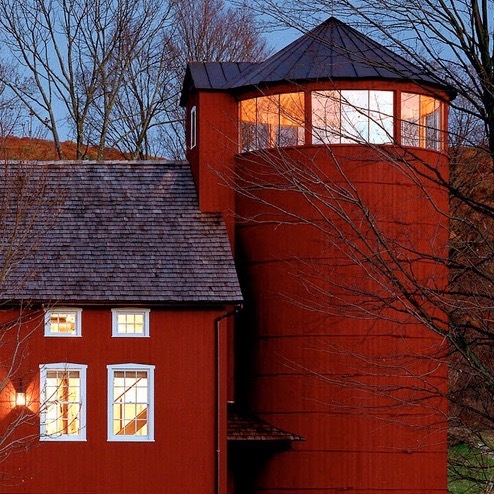 I have and will continue to recommend Haver & Skolnick Architects. I have worked with Haver & Skolnick on a number of their projects. It was a pleasure to work with this extremely talented duo. They inspire me creatively and I have recommended them to many of my clients. Do I begin by praising this creative team’s consummate ability to communicate and problem solve or do I extoll their inventive solutions and ideas? I have had the fortune to witness Charles Haver and Stewart Skolnick’s expertise first hand - in their level of customer service and in their impeccable design over the past two decades. Making clients feel comfortable and being respectful of their needs while remaining sensitive to the local vernacular is the foundation of Haver and Skolnick’s success story. Their finished product is always exquisite and why they maintain a stellar reputation in the area. They are terrific! Haver & Skolnick have been a delight to work with over the years. 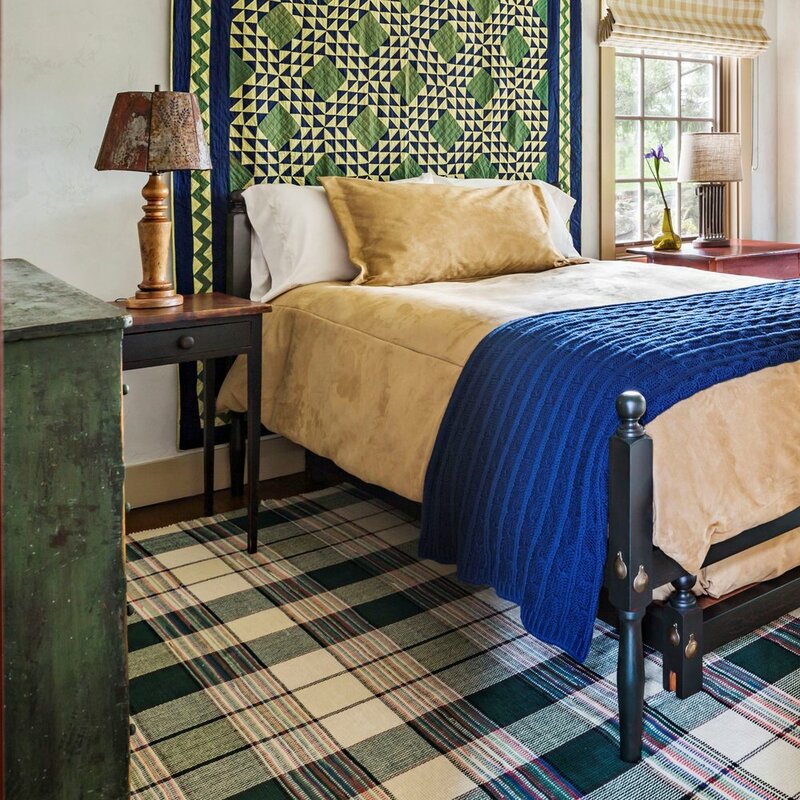 Our collections of Woodard Weave Woven Rugs, as well as our own collection of Hooked Rugs, have found their way to numerous projects designed by this talented team over the years. Always prompt and professional, they make the selection and ordering process a breeze. They are truly a pleasure to work with, and we are proud to be a frequent source for this outstanding architectural firm. Haver & Skolnick is a highly respected firm in the area, with whom we have been privileged to on work a number of projects. They are extremely professional and responsive. In terms of architectural detailing, they leave no stone unturned, so to speak. The product that is presented to the client for approval is the same product that is presented to the contractor to execute; there is no gray area. With a deep appreciation for their thoughtful approach to design, Drakeley Pool Company is pleased to recommend Haver & Skolnick without reservation. 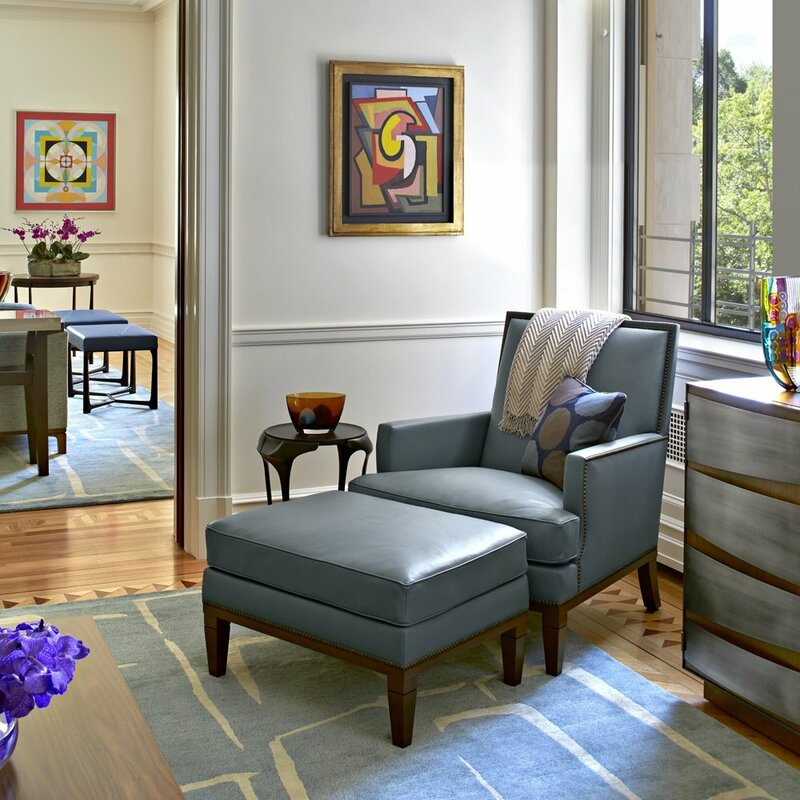 I am an art consultant and had the pleasure of working in conjunction with Haver & Skolnick on a project to redesign a client's apartment and and re-install the art collection. H & S ran the project in an extremely efficient and organized manner, thus making my job straightforward and seemless. They were a pleasure to work with every step of the way due to their professionalism and attention to detail. Artistically and creatively, they transformed the space to make the art collection sing. If only everyone were so talented! I highly recommend them and hope we can work together many times in the future. We have worked together with Charles Haver & Stewart Skolnick for many years and appreciate their attention to detail, innovative ideas and their unique ability to work well with the most sophisticated and demanding clients. We would recommend Haver & Skolnick to anyone in need of the highest caliber of architectural design, professional personal service and impeccable attention to detail. 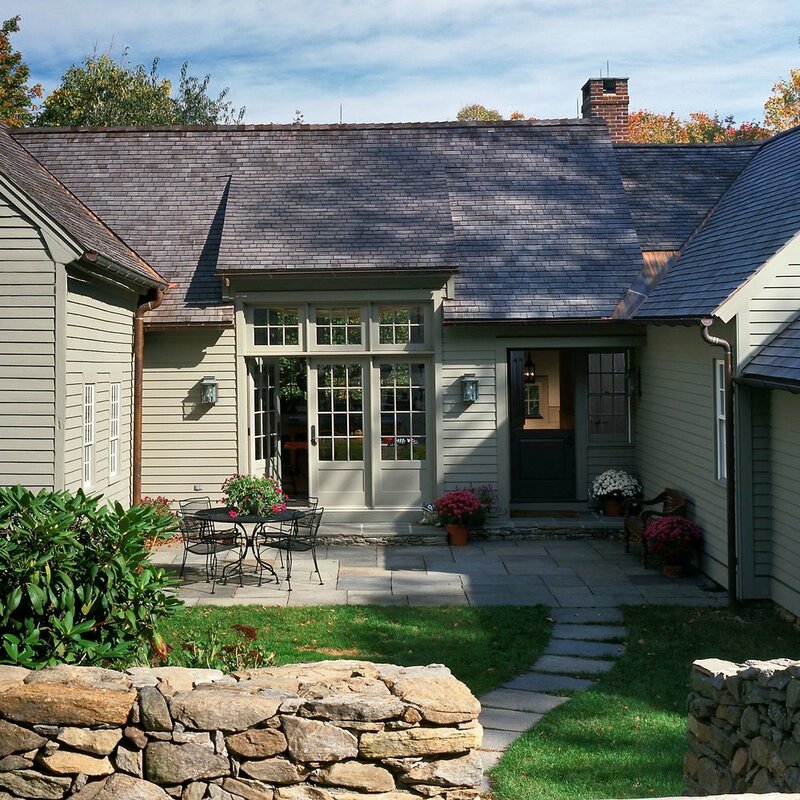 Haver & Skolnick Architects are consummate professional designers. They show a great ability to blend traditional design with a contemporary aesthetic. Always working to keep the needs of their clients foremost in the design process. They‘ve created beautiful homes that pay great attention to detail, form, and function. Couple this with their amazing sense of interior design and you have a winning combination. Charles Haver and Stewart Skolnick have the rare combination of talent and a team ethos. They create beautiful turn-key homes - all the way down to the hand soap in the bathrooms! It was a pleasure working with them. As a Litchfield County building contractor of higher end homes, we were lucky enough to have worked with Haver & Skolnick LLC Architects. The detail they provide their clients makes building the project interesting and something to be proud of when completed. We have done total remodeling to new homes of five thousand square feet or more. Each project was treated equally. We look forward to working on another one. Haver & Skolnick provide creativity throughout their projects; well before, during construction, and after completion. They are always in touch for thoughtful consideration for all who are involved. Fantastic with detail. Davenport Contracting has had the pleasure of collaborating on several large, custom homes with Haver & Skolnick Architects. Their ability to integrate historical structures into a 21st century lifestyle is superb. Stewart and Charles' attention to detail makes for smooth running building projects. Haver & Skolnick Architects provide outstanding client services, professional and personalized approach to their projects, and they are a pleasure to work with! They have impeccable taste, they are well experienced and extremely detail oriented. I strongly recommend using their service for your architecture and interior design projects! Classic Lighting Devices is very pleased to have been selected by Haver & Skolnick Architects for their quality lighting projects. We have worked with this reputable firm for over 15 years. Mr. Haver and Mr. Skolnick are truely down to earth individuals but very professional. They understand and value our quality lighting product. 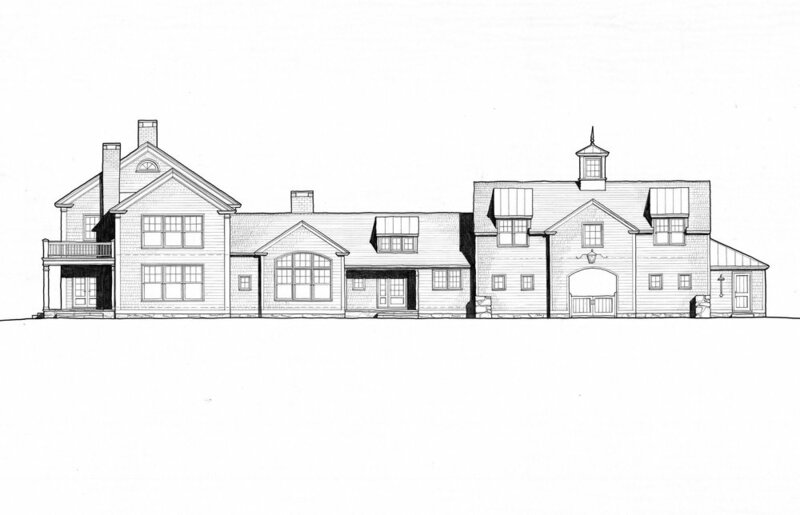 Waterworks has had a long standing relationship with Haver & Skolnick Architects. Their work is classic and elegant and their execution is impeccable. Stewart and Charles are extremely talented and very personable - they're a joy to work with! The term "detail-oriented" must have been coined for Mr. Skolnick. Nothing escapes his critical mind. This firm exceeds all standards. Elite Painting LLC has work on many projects large and small with Haver & Skolnick. Their attention to detail is impeccable, always delivering the best product they can. I have had the pleasure of working with Haver & Skolnick for many years on several projects. My experience with them has always been beyond stellar. I have the utmost respect & admiration for them as architects & designers and would recommend them highly. Charles & Stewart are a pleasure to work with and they do beautiful work.